All trademarks belong to their respective owners. We indicate some trademarks used in this text but lack of such an indication does not mean that a name is free to use. 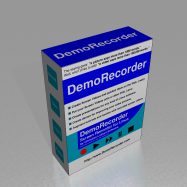 DemoRecorder® is a registered US trademark owned by Christian Linhart. Linux® is a registered trademark of Linus Torvalds. Macromedia® and Macromedia Flash® are registered trademarks of Macromedia Inc.
SnagIt®, Camtasia® and Techsmith® are registered trademarks of TechSmith Corporation.